De Doorns Cellar was established by table grape farmers of the Hex River Valley on 18 October 1968. The name of the village De Doorns (the thorns) was derived from the many acacia thorn trees and bushes which covered most of the farms when stock farmers originally settled in this area. 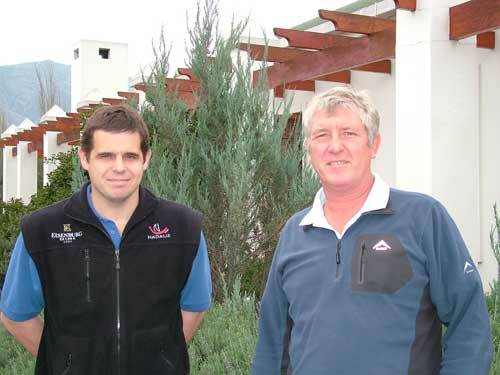 Under the skillful direction of the Cellar Master, Danie Koen, grapes are cultivated to produce a unique range of good quality wines. Closed on Sundays and Public Hilodays.